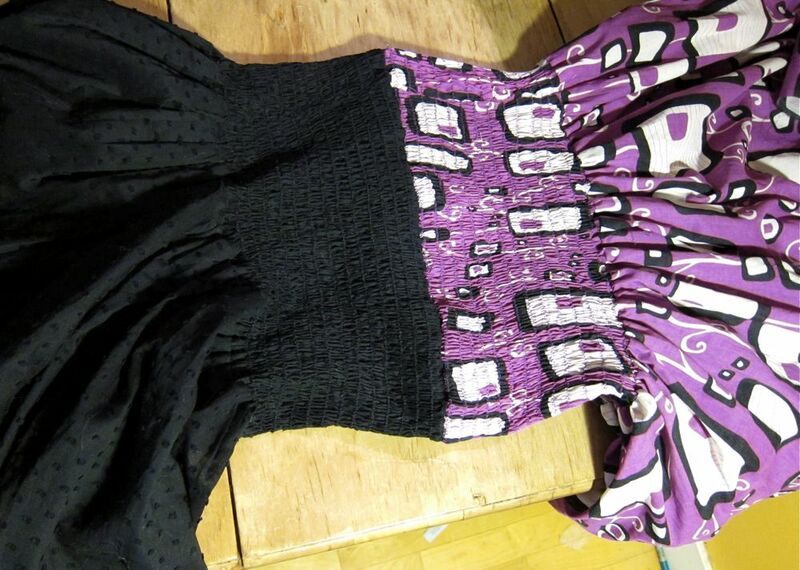 The above image is what it looked like after I attached the two skirts together at the waist. I just have to tack them together and hem it now. AND I'm happy to report the stretch fit is perfect--it looks just like my sketch, and should still work post-preggo, too. It looks great! I'm excited to see the final product. I feel that way about shirring, and I'll dare to say it--about quilting too. The only solace I find in long slow boring tasks is the end result. 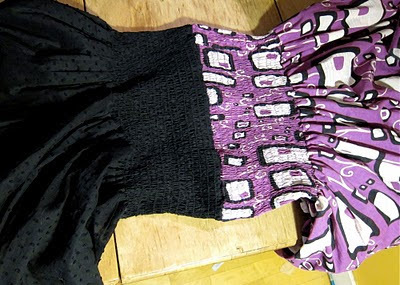 Did you decide on zigzagging over a piece of elastic for your method of shirring? Wow, that looks great. So what, does one fold over the other? It's amazing how close it looks to your illustration. Yeah, shirring is SOOOO boring... and I think I did about 64 rows of it for this, each 32" long. SOOO boring. And yes Peter, one skirt tucks inside the other, sort of as if it were a lining. 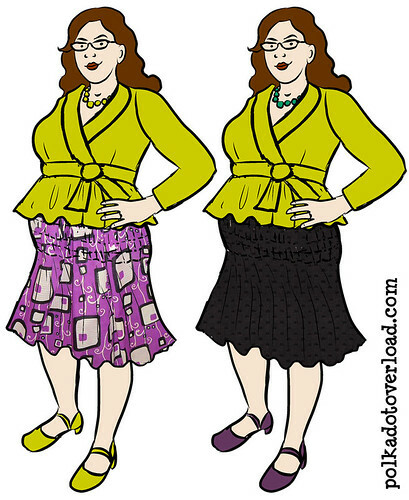 Which is good, because both fabrics are a bit see-through on their own. Looks awesome! 64 rows of shirring? I bow to your patience. That's an awesome skirt! Great job!! Looks like your patience and boredom paid off! Either that or I've lost my mind. Whatever.